For decades, the southern island of Mindanao in the Philippines, a largely Muslim region, has seen extreme poverty, violence, and political instability. 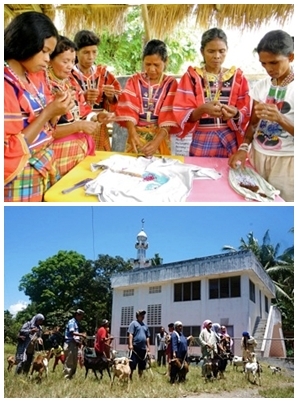 In less than three months, the Global Peace Foundation Philippine's initiatives are making significant impacts on the education and livelihoods of communities in rural Mindanao. The Global Peace Foundation Philippines' Alternative Learning System (ALS) program, GlobALS, in partnership with the Department of Education, assists out-of-school children, youths and adults with continued learning. GlobALS helps people of all ages to achieve their life goals, improve their quality of life and become effective contributors to society. GlobALS participants in Davao Del Norte. Earlier this year, six rural Muslim communities in Davao Del Norte working with GPFP came up with livelihood programs that seek to address their most pressing needs. Four of these rural villages, known as barangays, initiated rice-lending systems for their members. Two other barangays in the municipality of Carmen opted for goat-farming and a sari-sari cooperative store. These programs are now contributing to the economic livelihoods of their members. But more than that, the programs are beginning to change their mindsets. Alternative Learning System and Muslim Education Program Supervisor Lourdes Navarro said the livelihood programs have become a venue for members to discuss matters affecting their communities. Navarro added that because of constant communication, the communities were able to build harmonious relationships among the residents. Furthermore, the programs are eliminating the culture of apathy among members. Directors of the lending programs in Barangays Taba and Cabaywa no longer have to remind their members to pay their dues. The President of Taba Muslim Community Multi Purpose Cooperative Mr. Jalandoni Marapatan, Sr. said that members agreed upon a payment system which they now follow without question. In Cabaywa, members have a strong sense of ownership for their program said the President of Cabaywa Muslim Association for Peace and Development Zulaika Adam. 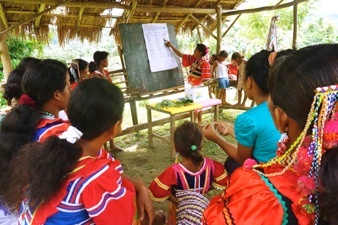 The Australian Agency for International Development funds the community programs through the Department of Education's Philippines' Response to Indigenous Peoples' and Muslim Education program and the Global Peace Foundation Philippines is the service provider. Aside from providing assistance with economic opportunities, GPFP also teaches Arabic Language and Islamic Values Education (ALS-ALIVE). ALS-ALIVE is designed for Muslim migrants to be able to positively contribute to the peace efforts of the Philippine government.